The PAYCE Foundation strives to help every person, despite their circumstances, enjoy a good quality of life. And that includes assisting our partner charities build capacity so they can achieve their goals to assist people. And there’s no better example than St Merkorious Charity which recently celebrated 10 trainees completing their Part Qualification in Certificate III Hospitality. From humble beginnings in a domestic kitchen, St Merkorious Charity is now serving 3800 meals per week to people in need. But with this rapid growth came challenges and training is a key objective for the charity as it plans to help even more people. 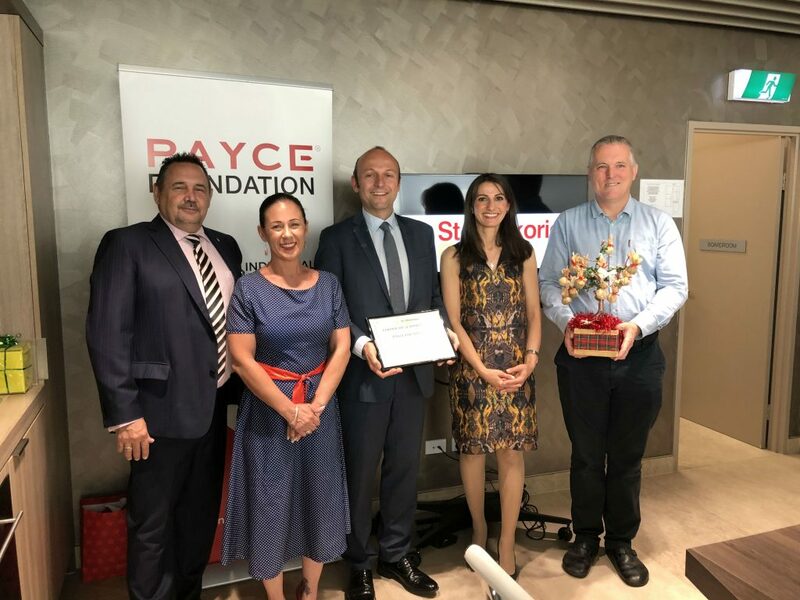 The PAYCE Foundation supported the establishment and coordination of a partnership between St. Merkorious Charity and National Training Organisation which ran the training course for the ten volunteers with the ongoing support and supervision of PAYCE Foundation’s own chef Shane Hillard. The training course has set the volunteers on the path for further training and employment and built St.Merkorious Charity’s own capacity for further growth. 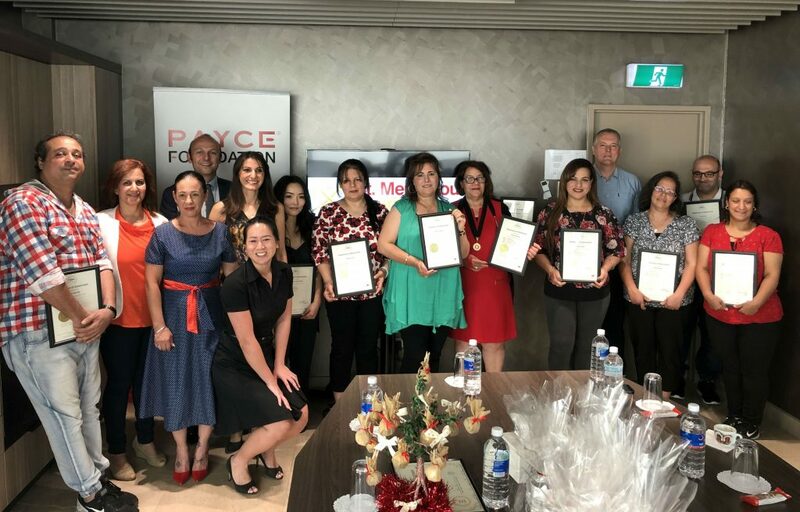 Attending a ceremony to congratulate the trainees was Gary Mead, Managing Director of National Training Organisation with Operations Manager Penny Huynh and trainer Eva Marie Losquino, Andrea Comastri, Executive Officer, PAYCE Foundation and St Merkorious Founder Paula Nicolas and Kick Start Cafe’s Shane Hillard.